In a bid to assess evolving geopolitics of energy, global leaders have come on board of Global Commission on the Geopolitics of Energy Transformation. 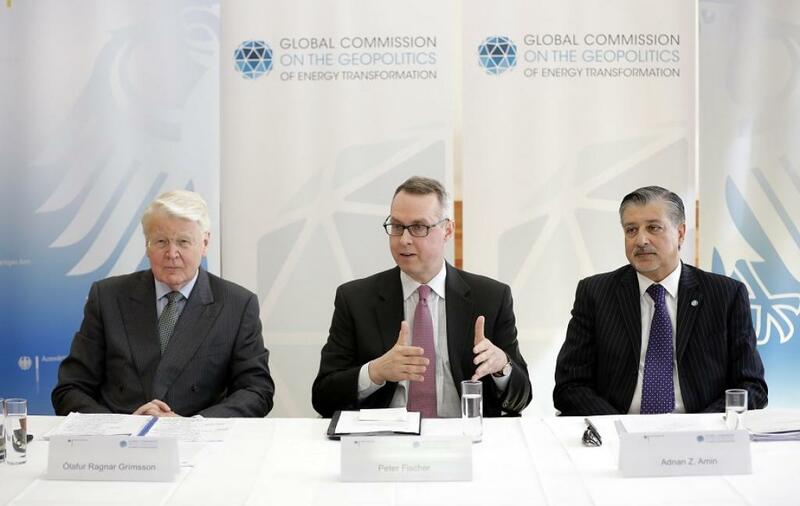 The Commission was launched in January during the Assembly of the International Renewable Energy Agency (IRENA) and its work is supported by Germany, Norway and the United Arab Emirates. On the second day of the annual Berlin Energy Transition Dialogue (BETD), members of the commission were announced. The ex-President of Iceland, Olafur Grimsson has been designated the chair of the Commission, which will meet for the first time today during the BETD to establish a road map towards development of an authoritative report to be released during IRENA’s next assembly taking place in Abu Dhabi next January. BETD is hosted by the German Federal Foreign Ministry and the Ministry of Economy and Energy. Other members of the Commission include prominent government and business leaders from the United States, Saudi Arabia, China, Germany, Brazil and Russia. The work of the Commission, according to Grimsson, will be to do a robust assessment of the evolving geopolitics of energy as the world moves towards the post-carbon era. The members of the Commission will reflect on insights from traditional energy exporters, and net energy importers alike. Countries at various stages of renewable energy exploration and development are also represented in the Commission’s membership. The Commission will be supported by an expert panel of renowned academics. Speaking on the occasion, Peter Fischer, commissioner for Globalisation, Energy and Climate Policy, Federal Foreign Office, Germany, underlined possible issues which will emerge as bigger geopolitical issue once the world moves towards more renewable. He said that there is need to draw some attention towards raw material needed for these renewable and related issues like transparency in the system and human rights of workers. When countries will completely move to renewables, cyber security will be a big concern, according to Fischer. He also highlighted the issue of financing renewable systems at present and also in future. “The shift to renewable energy is proving to be one of the most positively transformational trends of our age. Renewables offer a cost-effective pathway to poverty reduction, increased energy access and economic growth whilst reducing energy-related emissions,” said Adnan Z. Amin. “As we move towards a more decarbonised, decentralised and digitalised energy system, and scale-up renewables in line with the Paris Climate Agreement and Sustainable Development Goals, countries will have to understand the nature of the evolving geopolitical landscape, so as to ensure prosperity and peace,” he concluded. International Solar Alliance will soon be legal entity, but how will 1,000GW target be met?